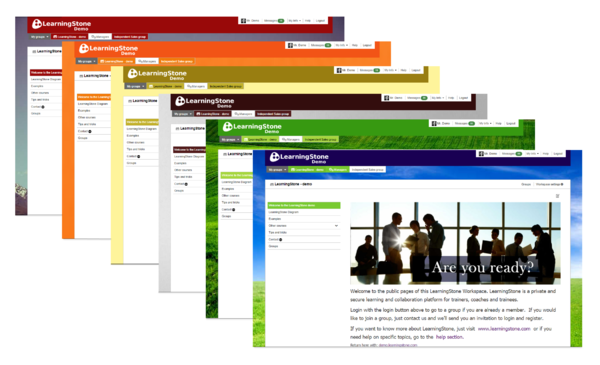 LearningStone is a safe online learning and collaboration environment that supports training and coaching. Improve your current offering and provide your clients with a higher return on their training and coaching investment. Finally one platform that supports both basic online training and coaching and advanced blended learning, social learning, micro learning and spaced learning! Setup your own environment without any technical investment at all. 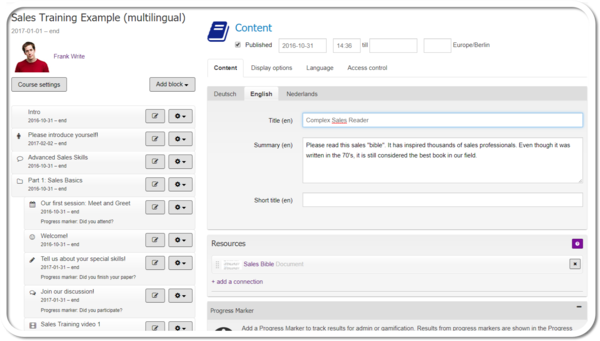 Upload learning materials, invite participants, monitor and start collaborating in no time. LearningStone is cloud based and ready to use! LearningStone is used all over the world by training and coaching professionals who need to support blended training or coaching with an excellent digital platform. LearningStone is offered as an affordable subscription or as a dedicated technology platform. See Plans. Completely blown away by LearningStone's features and tools! LearningStone loves blended training and coaching. We support both collaborative and individual scenario's. Do you want to present a course timeline to a group of trainees or individual coachees, and a wall or ‘social timeline’ as one of many ways of collaborating? Configure it for your needs within minutes. Events trigger notifications to remind participants of their schedules, to motivate them, and to stimulate collaboration. What about microlearning? 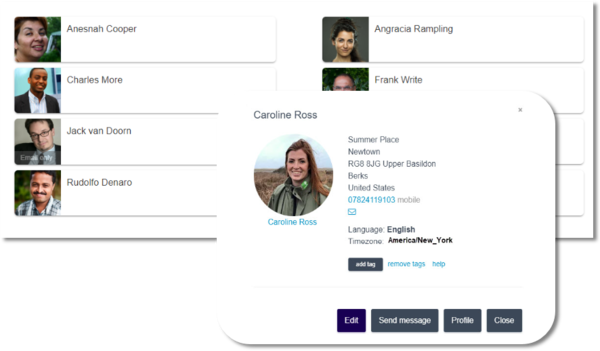 Invite, register, and manage your participants with the powerful member organizer. Participants sign up and enter own details, picture, and profile, saving everyone time. Everyone can set their own privacy settings and decide on the amount of email notifications. More on privacy and the GDPR. The course editor allows you to create a timeline using the unique block system. There's a block for every need —whether it’s a survey, an assignment, a text, a calendar event, a video, documents, or even scheduled messages to encourage learning. Progress Markers can be added to let either the participant or the coach track achievements for administrative purposes or for gamification. Copy and reuse existing course timelines and collect them in a library. Every repeated course will be less work! Add your own corporate identity and even a public website as a landing and login area. Use your own design (for your agency or for your clients) and use your own domain name. Use the friendly content management system to add images, videos, links, etc. Upload your own images, video, documents, and PowerPoint presentations or integrate YouTube, Vimeo, and other external content. Use the storage area and the galleries to add extra content, such as learning materials or let your participants share video's. LearningStone takes care of all the conversion and storage! 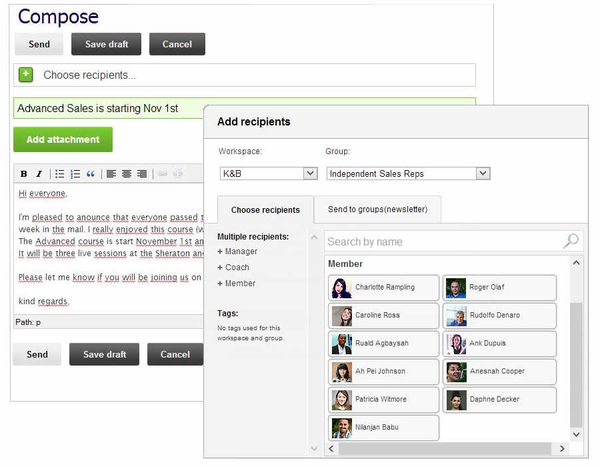 The powerful message center lets you and your participants send messages and newsletters to individuals or groups. You can also inform former participants about new courses. People can always choose to unsubscribe from your messages, so you don’t need to worry about spamming them. You can reply to email from LearningStone straight from your normal mailbox! 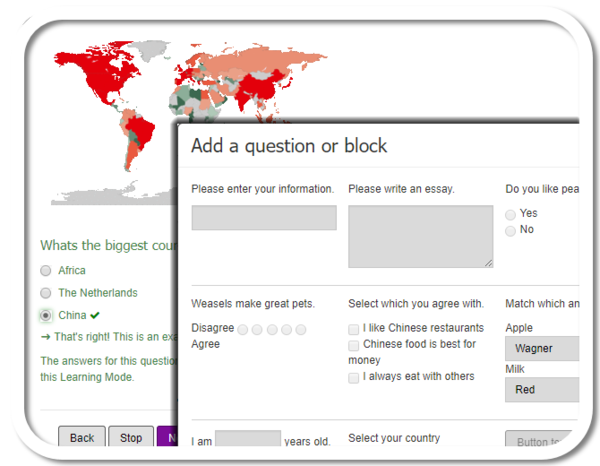 LearningStone offers a responsive interface. Simply enter your text, video's, and other content once and we take care of all devices. Have access to participants and course information anywhere you go. Add content or members on the fly. Create powerful surveys and forms for signups, to collect information, evaluate or check up on your participants' knowledge with a self grading test or quiz! 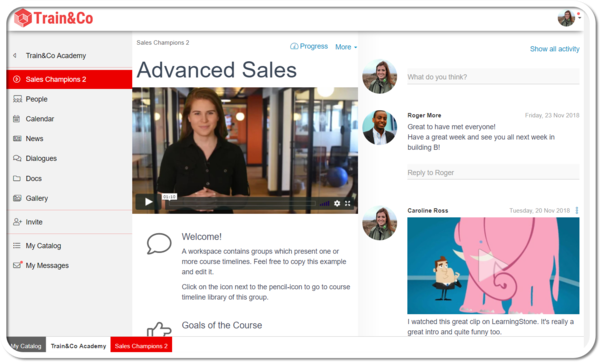 Add Progress Markers to course material to track and report on achievements. Try LearningStone and follow in the footsteps of training professionals and their clients all over the world. Get started, and you’ll discover why so many professionals love LearningStone. Try it out for your self with our free-for-ever plan right now. LearningStone is hosted in a secure data center and is constantly monitored.